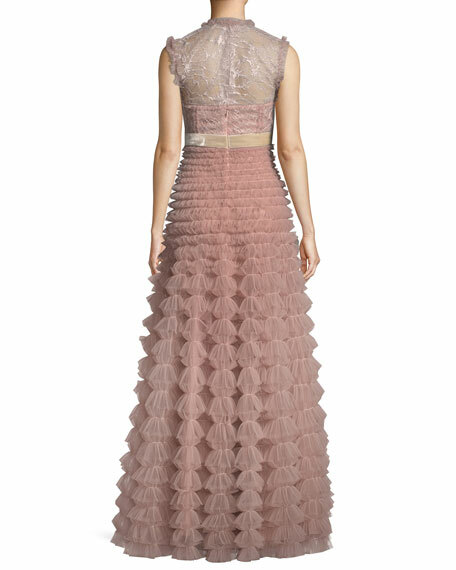 J. Mendel evening gown with lace bodice and gathered tulle skirt. For in-store inquiries, use sku #2457663. 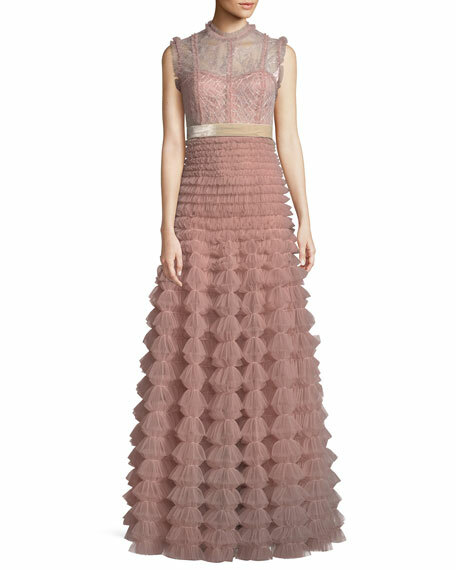 Rachel Gilbert evening gown in bonded twill. Boat neckline; V back with ruffled frills. 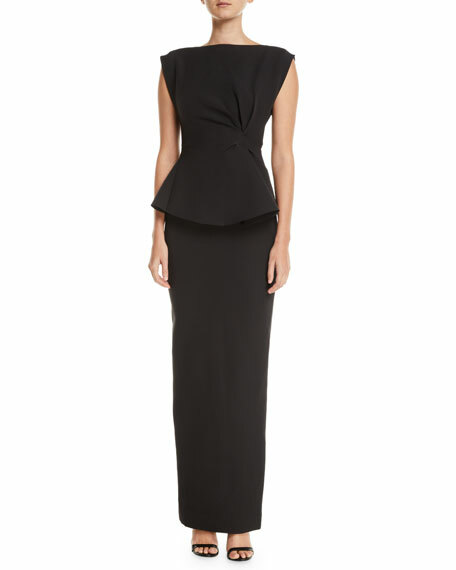 Sleeveless; full shoulder coverage. Cinched peplum waist. Column silhouette. Hidden back zip. Floor-length. Polyester/spandex. Imported. 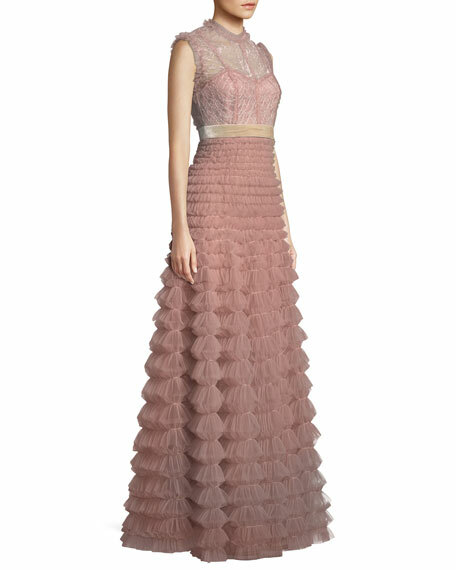 Racil satin evening gown with a devor velvet skirt. V neckline. Camisole straps. Asymmetric dropped waist. Bias-cut; slim silhouette. Hidden back zip. Ankle length. Triacetate/polyester. Lining, polyester/spandex. Made in UK.